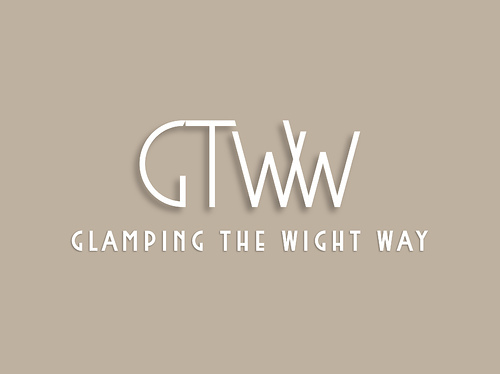 Glamping The Wight Way provides tented accommodation in four luxurious safari lodges:- The Mottistone, The Osborne, The Headington and The Tennyson. The Lodges sit within approx 3 acres of a working farm of some 900 acres in Freshwater on the west of the Isle Of Wight. All lodges are accessed via a gateway along a farm access lane off Copse Lane, Freshwater. The lane surface is concrete and in good condition, with a couple of speed bumps built in for controlling the speed of any traffic, due to the regular presence of farm machinery traffic and dog walkers! Luggage can be dropped at the site entrance gate where there is a temporary use lay-by, before returning the car back along the lane 300m to our dedicated private car park. The car park surface is grass & matting. The walk back up the lane to the site entrance is flat apart from the speed humps. Once through the wooden entry gate which has a code entry and exit system, The Mottistone and The Osborne lodges are in the lower meadow in front of you, about 50m up a gently sloped pathway surfaced with loose bark chippings. These lodges are approached across the grass. The Headington and Tennyson lodges are in the upper meadow which is approximately another 50m up a gentle slope and though a wooden farm gate via a small fenced wooden bridge constructed from sleepers. The upper meadow is enclosed by a barbed wire animal stock fence, and care should be taken to ensure children do not injure themselves by touching or attempting to climb the fence. The lodges themselves are accessed via eight wide timber decked steps with handrails, leading up to a six metre wide X three metre deep deck which is bordered by a timber balustrade linking up with the stair rails. The wooden four pane bi-folding entrance doors open out to give a good sized front opening without a raised threshold. There is a fixed hanging seat on each of the decks, along with a wooden angled tent pole, anchored at the bottom into a metal bracket. Each lodge has three bedrooms, kitchen / living area, washroom and bathroom, all on the same level. There is a private secure fenced area to the rear of each lodge, accessed by a step down of around 230mm. This also serves as a fire escape route with emergency push out rear tent panels from the rear bedroom and bathroom. The washroom and bathroom both have solid wooden doors lockable from both inside and outside. The bedroom doorways all have heavy duty curtains. All door internal doorways are 762mm wide. All bedrooms have black out blinds. The bathrooms include a metal "slipper" shaped bath with shower head attachment, and the hot water wood burner which provides all hot water for the lodge. There are two wood burning stoves in each tent. One is used for cooking and heating. The other is used for creating the hot water. There are fire extinguishers and fire blankets local to both wood burners, along with smoke and carbon monoxide detectors. The fridge and kitchen hob are powered via LPG, cylinders for which, are situated in a dedicated cupboard built outside the rear of each lodge. There is a Floorplan of the lodges on our website. Both lodges are electrically off- grid, but have solar powered fixed point lighting in each room and USB charging points. The lights are 7w low voltage LEDs. There are also three solar charged portable lanterns per lodge for use wherever you feel further lighting is required at any given time, plus various LED candles, fairy lights & torches. There is no wi-fi on site, but there is good mobile reception on site with 4G usually available. We are located within a 900 acre working farm which is mainly arable, but you will notice sheep (a rare black horned breed), horses and donkeys in the neighbouring fields from time to time. Our meadows are vehicle free - on the rare occasion vehicles are allowed on site they belong to the farmer, the directors of Glamping The Wight Way or emergency vehicles. If you have any further queries or requests related to site access, please call or contact us through the web site.